In the past week, those two words—"poor door"—have quickly come to signify the vast inequality embedded in New York City’s housing market. 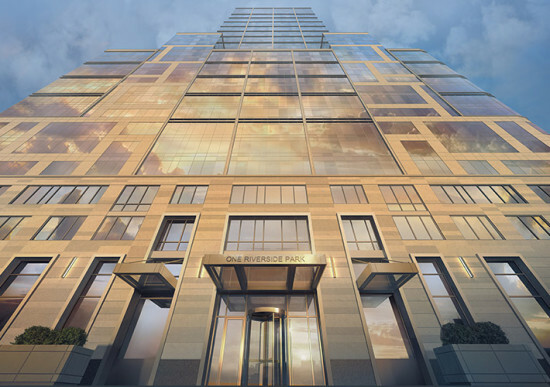 At issue is a separate entrance for tenants living in subsidized rental units in a luxury condo building on the Upper West Side known as 40 Riverside. The property, developed by Extell, was financed through the city’s inclusionary housing program, which grants a tax abatement and additional bulk to developers who include a certain portion of “affordable” units in a project. At 40 Riverside, that means 55 units—or 20 percent of the building—will be rented to families earning between $35,280 and $50,340, according to the New York Times. Those permanently affordable units will be on lower floors and will not face the river. And, of course, there’s the matter of how the tenants get to those units in the first place. The plan for the “poor door” was revealed last summer, but it has received a fresh round of criticism this week after the New York Post reported that the city’s Department of Housing Preservation and Development gave it the go-ahead. The story got an extra push when comments made by David Von Spreckelsen, senior vice president at Toll Brothers, last summer resurfaced. “No one ever said that the goal was full integration of these populations,” he told the Real Deal. “I think it’s unfair to expect very high-income homeowners who paid a fortune to live in their building to have to be in the same boat as low-income renters, who are very fortunate to live in a new building in a great neighborhood.” After the story broke, the de Blasio administration, which has made fighting inequality its major focus, quickly laid the blame on Mayor Bloomberg. 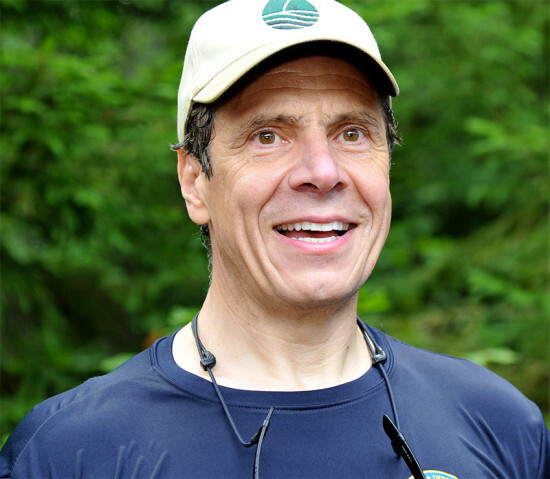 "This specific project was given a green light by the previous administration and had multiple stories already built by the time we walked in the door. The previous administration changed the law to enable this kind of development,” an administration spokesperson told Newsweek. “We fundamentally disagree with that approach, and we are in the process of changing it to reflect our values and priorities." The administration, and a host of local pols, are vowing to end the practice once and for all by changing the city’s zoning code. Obviously, the optics of all of this are pretty awful. Gary Barnett, the founder of Extell has said as much. “Separate entrances doesn’t sound good,” he told the New York Post. Making matters worse for Barnett is that his company is developing some of the city’s most expensive and controversial towers, including the 1,000-foot-tall Christian de Portzamparc–designed One57, where a penthouse reportedly sold for $95 million. 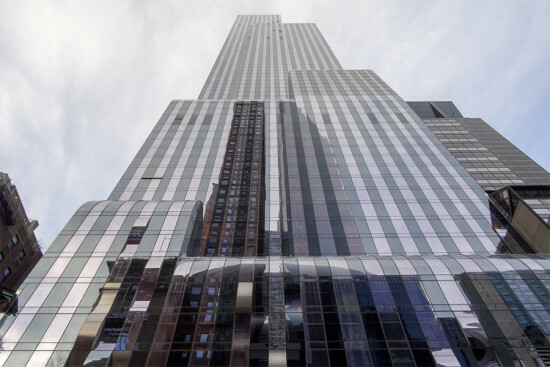 Extell is also behind a 1,775-foot-tall tower just down the block on 57th Street that will become the “tallest residential building in the world.” Apartments won’t be cheap there either—paging the one percent... Yes, even within the framework of the “Tale of Two Cities,” (which de Blasio repeatedly evoked on his rise to City Hall), the very notion of a “poor door”—whether you call it that or not—sounds too farfetched, too immoral to ever be dreamt up, let alone designed, built, and left ajar. Many have been quick to mention the racial component of having a door for the rich and a door for the poor—noting that more black and brown people will be passing through the latter. The “poor door” would also seem to go directly against the very housing policy that made it possible. The whole idea behind inclusionary zoning is to create mixed-income buildings in very desirable (read: expensive) neighborhoods. Because, from a purely financial standpoint, inclusionary zoning is not the most cost-effective way to actually create affordable units. But what Extell is doing at 40 Riverside is not unprecedented. There are poor doors in the glassy, government-subsidized luxury buildings lining the Williamsburg waterfront. And, thanks to Bloomberg, this is perfectly allowed within the city’s zoning code, at least for the time being. As the Nation explained, “projects making use of [inclusionary zoning incentives] have tended to be large, and the affordable apartments provided have either been mixed in with the market units or else located in separate portions of the buildings, even in separate buildings. Of course, separate buildings require separate entrances, hence the ‘poor door.’” Developers, like Barnett, say they have no choice, but to stick the subsidized units in less desirable parts of a luxury building. “If you say that in any project getting an inclusionary bonus zoning, the affordable units would have to take up some of our best views and units, nobody would build them,” he told the Post. At 40 Riverside, the subsidized units are essentially in a separate building, which explains the two doors. But in cases where two doors exists, one of them is typically not exclusive to the wealthy tenants, as noted by the Real Deal. It’s not surprising that the "poor door" has received so much attention in the past week. For one, “poor door” makes for great copy and it's easy to pile on to developers in cases like this. And it's not surprising that people have had such a visceral reaction to what has been called a "separate but equal" arrangement. But, ultimately, the “poor door” is just a blatant symptom of the city’s housing crisis. And the housing crisis is a reflection of extreme inequality in New York City and around the world. How bad is it exactly? As condos in luxury towers built by Extell and the like repeatedly sell for tens of millions of dollars, nearly half the city lives in poverty. And, according to the city comptroller, from 2000–2012, median rents in the city rose 75 percent while median household income fell nearly 5 percent. This is the context in which something like the “poor door” can even exist. The context in which people have to enter a lottery for an affordable place to live. Given the international reaction this story has received—and the elected officials who have pledged to end the practice—the next “poor door” could very well close before anyone walks through it. The same cannot be said for the harsh reality that made it possible in the first place. That is a thorny, complicated, global issue, but one that deserves just as much passion and outrage directed at the doors on Riverside. Unfortunately, that issue cannot be packaged in the same way. If only it rhymed. A new condo tower designed by Chicago-based Adrian Smith + Gordon Gill was announced late last year, but details of the super-tall tower have been scant. The 88-story tower at 215 West 57th Street will be one of New York City's tallest buildings, reaching up to 1,550 feet. That means it will top the Empire State Building's measly 1,454 feet and come in second only to the 1,776-foot-tall One World Trade Center. (If you're paying attention to the spire / antenna semantics game ongoing at One World Trade, AS+GG's new tower would beat its midtown rival by a little over 200 feet.) Adrian Smith is no stranger to designing soaring skyscrapers—he designed Dubai's Burj Khalifa while working at SOM, still the tallest tower in the world. The architects declined to comment further about the tower. 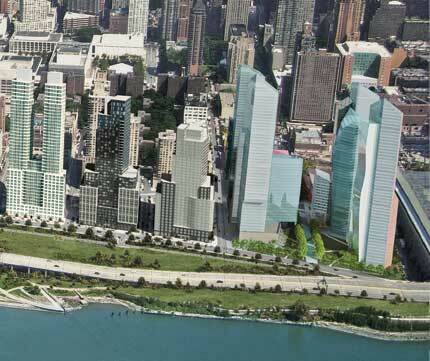 Today Extell Development got the green light from City Council to build Riverside Center on one of the last major parcels of land at the edge of the Upper West Side. 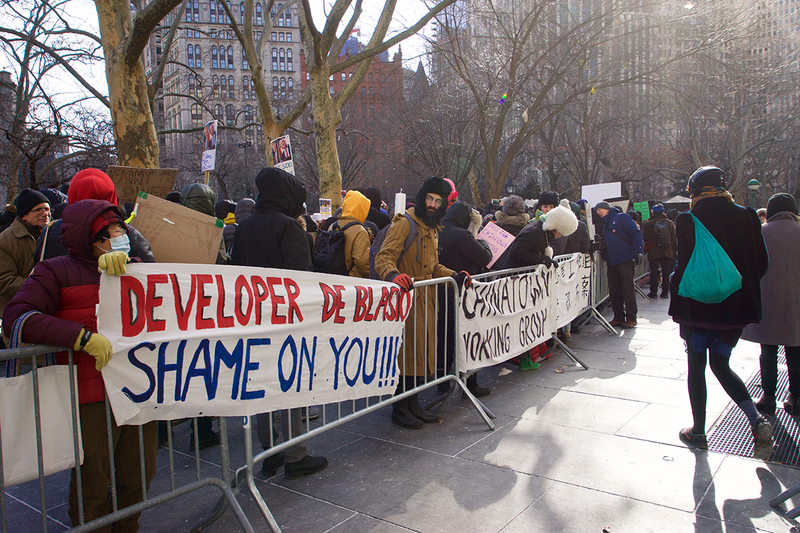 Among several concessions made to the community, the developer agreed to sink $17.5 million into Riverside Park, build a 100,000 square foot school, renovate a recreation center on West 59th Street and build 500 affordable housing units (though much of it offsite). The 3.1 million square foot project includes a series of towers designed by Christian de Portzamparc between 59th and 61st streets and will provide as much open space as Lincoln Center, the architect told AN last year. Portzamparc worked with landscape designer Signe Nielsen to break up an existing superblock and create a view corridor that extends toward the Riverside Park. 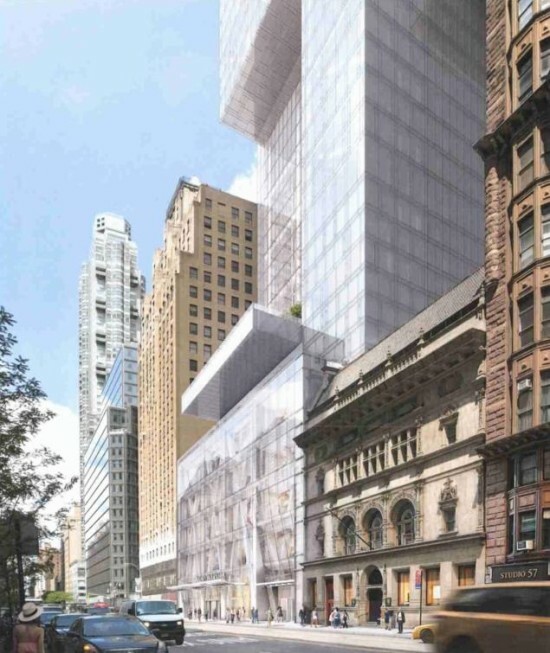 Like most mixed-use projects, the developer said public amenities, such as grocery stores and the school, would fill the base of the towers.